The weather is beautiful in London today, it is hot and sunny, I kid you not. I am very excited about that. I Hope it is just as glorious everywhere else in the world. If you read my last blog post you will know what I have been up to lately and I remember mentioning to you that I wanted to introduce you to some of the amazing people I have been blessed to meet. This is the first of those introductions. I geeked out when I came across Brigitte West and Rose Brown at the STEMettes event last month. 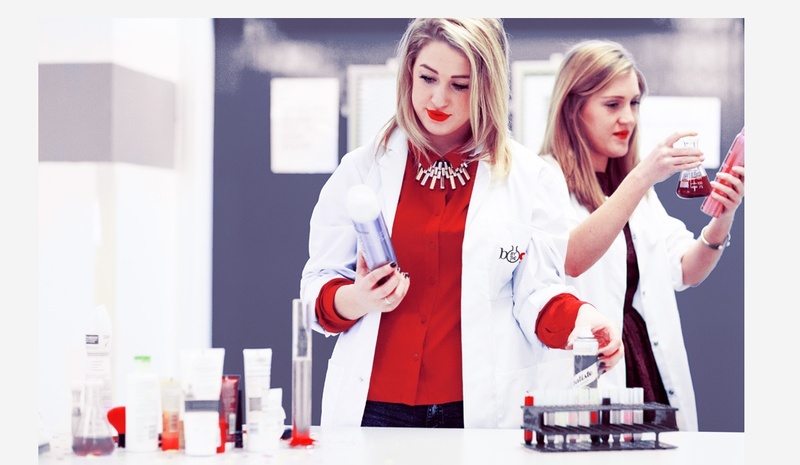 Not only are they both lovely ladies, but they are also brilliant entrepreneurs who had an idea that they confidently nurtured creating a business that helps people understand the science behind beauty products. This in itself is inspiring but the amazing thing is, they achieved all of this while studying full time medical science degrees at university. They are 21 and 20 years old respectively. Brilliant young ladies. And, they named the buisness Beauty By The Geeks. Whaaaat. Total geek out. Click on this link and find out how to make your own beauty products at home using ingredients from your kitchen. Also, see if you can catch them at the British Science Festival and if you work in a school or are a member of your parental governing body at your children’s school, suggest some of the educational courses they offer in and around England and help them make science more engaging (school girls love make-up whether parents like it or not, it is the the truth of our times so let us use it to our advantage and educate). Keeping with the theme and because I miss Brazil and because it is perfect for this sunny day, click play and enjoy the sunshine with Pharrell and Snoop in Brazil. Until next time, enjoy the sunshine and have a great weekend. This entry was posted in Geek Out and tagged #beautiful, #beauty, #geek #geekout #science #life #beauty #makeup #lipstick #summermusic #love #scienceeducation #education #science #beautiful #music, #geekout, #lipstick, #makeup, #scinece, #summermusic, education, geek, life, love, music, science, scienceeducation by Faith In Geeks. Bookmark the permalink.